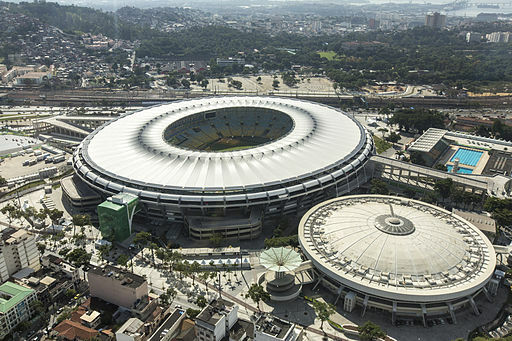 During June and July 2014 over 10,000 football fans from the UK are expected to travel to Brazil for the World Cup. This is more than five times the number originally predicted, with a large proportion more than likely travelling independently rather than going with a tour operator. Providing travel health guidance to a disparate group of people such as this is a challenge that we at NaTHNaC (and our commissioner, Public Health England) are keen to tackle and we have continued to communicate via various channels to get important health protection messages across. Brazil is a huge country with variable climates and so the health risks will depend on where people are going and what they are doing. Matches are being played in different parts of the country in 12 stadiums up to 2,000 miles apart. It is important that travellers not only take action to reduce their risk of getting diseases common in Brazil, but are also aware of other risks such as sun exposure, insect bites, contaminated food and water and personal security. Our guidance is informed by a daily review of disease outbreaks worldwide, findings from new research and the expertise of our specialist team of doctors, nurses and an information analyst. Advice relating to the World Cup is accessible on our website. Health professionals based in GP surgeries, pharmacies, travel and other specialist clinics will be providing travel health guidance to football fans, even up until their departure dates. A risk assessment should be conducted with every traveller ahead of recommendations being made about vaccinations or antimalarials. Health professionals can draw on NaTHNaC’s guidance in different forms: information tailored to the destination country, information sheets on specific diseases and non-disease risks, reports on recent disease outbreaks and up-to-the minute updates that may affect clinical practice. Any health professional needing more complex advice, dependent on a traveller’s medical history or travel itinerary, can telephone our Advice Line for Health Professionals, which is led by the specialist travel health nursing team. Travellers should seek advice as soon as possible about travel vaccines. Recommendations will depend on the exact nature of the travel, but an appointment for last minute travellers is still worthwhile. Journalists are asking us what proportion of fans going to the World Cup have sought medical advice. Unfortunately, we cannot possibly know. We first issued guidance back in March 2014 with the publication of a factsheet. We have since broadcast through a range of social media, including our Facebook, Twitter and Google+ pages, and our Joint Directors have participated in web chats jointly with the Foreign and Commonwealth Office (FCO) and University College London Hospitals (UCLH). FCO have attracted audiences with its ‘Be on the ball’ campaign. As World Cup fever heightens, national media are helping to spread our valuable messages. With a feast of football fast approaching, NaTHNaC and PHE are aiming to speak the fans’ language with a final entreaty to ‘avoid health penalties’ and protect their health to ensure they remember the World Cup for all the right reasons. Featured image "Maracana Stadium" copyright Brazilian Government. Used under Creative Commons. Thanks for the blog and it is clear you at PHE have taken a very proactive approach to information and guidance. Good on you all for this. The information, to a wide audience was succinct and had a number of web links to follow too. The only aspect I could not work out form the blog was that of NaTHNaC? Many thanks for your email and I’m very glad you liked the blog. Just to tell you a little more about NaTHNaC, or the National Travel Health Network & Centre, to give us our full title, we are a commissioned service of Public Health England. When we were set up in 2002 by the Department of Health, it was thought important that we have a degree of independence rather than being a government department. This is because we have stakeholder organisations involved in our work. Besides PHE, we work with representatives of the London School of Hygiene & Tropical Medicine (LSHTM), Liverpool School of Tropical Medicine (LSTM) and the Hospital for Tropical Diseases (HTD) which is part of University College London Hospitals NHS Foundation Trust. We have offices within UCLH and LSTM. Our main strapline is ‘protecting the health of British travellers’ which reflects the desired outcome of our work. We seek to achieve this by promoting and aiming to raise clinical standards in travel health. medicine. Hopefully you can see that our website contains a wealth of information, some aimed at health professionals and some at travellers. For health professionals we produce news alerts whenever there is a change of clinical significance, the advice line mentioned in the blog and information specific to different countries. Particularly in GP surgeries, travel health advice is given by practice nurses or doctors who do not have specialist knowledge. So we are their resource when they need guidance. Travel health advice is also given in specialist travel clinics, by occupational health clinicians, pharmacists, military clinicians and others, and all have free access to our information. Thanks so much and will read and digest this very helpful information. Thank you once again and a a blog on this one independent body would be good too.